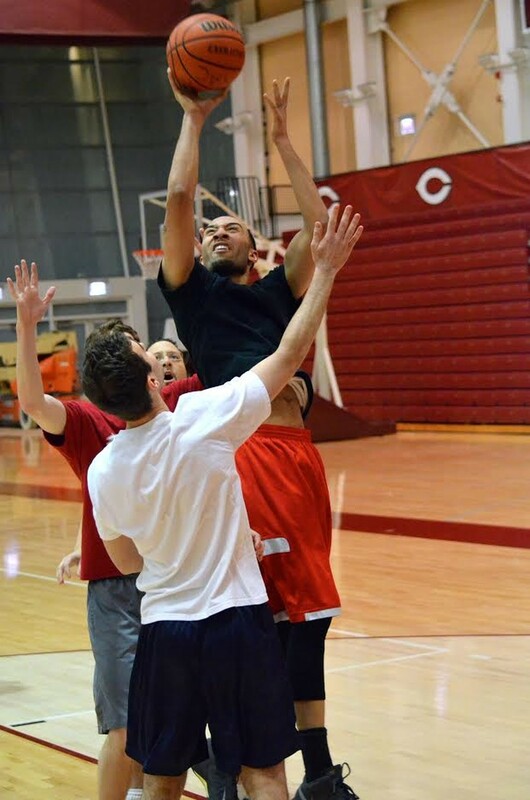 Sounds of squeaking sneakers and cheering spectators filled the Ratner Competition Gym as students and University of Chicago Police Department (UCPD) officers faced off in a friendly game of basketball on Thursday evening, in an attempt to create bridges between the two groups. The game was part of a Student Government initiative called One Campus, the purpose of which is to create spaces for students and non-academic staff to meet. The basketball game was the second event organized by One Campus. In May, an all-day event brought together students as well as UCPD officers, Allied Barton security officers, shuttle drivers, facilities staff, front desk staff, and dining hall staff for their option of breakfast, lunch, or dinner. The idea to organize a basketball game came from UCPD Deputy Chief Kevin Booker. After the event in spring, One Campus had many connections to people in various non-academic staff groups. Gnanasambandan met recently with Booker to brainstorm ways in which students and UCPD officers could meet. A joint shoe drive, a movie night, and a group bike ride downtown were among the possibilities discussed. “After asking officers and students, it seemed that the basketball game was the thing that most people were excited about,” she said. Gloria Graham, assistant chief of police for the UCPD, commented on the valuable camaraderie and relationship building that can develop from this sort of event. Music played, pizza was served, and a festive atmosphere pervaded the court as officers and students competed for glory. During halftime, children of the UCPD players rushed from the bleachers to shoot hoops and dance to Beyonce. The game ended in a score of 59–53, with victory belonging to the UCPD team. “The students really gave us a run for our money but in the end we came together and really snuck out with this win today,” Tawrence Walton, UCPD Community Relations Officer, said. Despite their defeat at the hands of the UCPD players, students expressed enthusiasm and interest in participating in future events with the officers. Third-year Darek Blachowicz, one of the student players, was among them. “I haven’t really had a chance to interact with the UCPD in the past, so these events could potentially be awesome opportunities,” he said. The officers, too, look forward to future opportunities to engage with students.